Hiding your smile because of crooked or misaligned teeth may not seem like a big deal. You may not laugh so loudly at that joke you heard at work, or flash your pearly whites while having a coffee with your friend, but so what? Smiling and laughing are very important for humans, biologically and psychologically. They release happy hormones, such as dopamine and serotonin, creating a feeling of wellbeing. As social animals, we are also programmed to respond to, and bond with each other. Smiling and laughing is one key way we do this. If you are dampening down your laughter because of poor teeth, you may be doing yourself more of a disservice that you realise. Your co-workers and friends may subconsciously be registering that you are unfriendly or withdrawn and be less likely to feel connected to you. And even if that isn’t happening, it may be affecting you and the way you feel about yourself. Self-esteem is boosted by smiling, connecting with others and fully expressing how you feel. If you feel self-conscious about an aspect of your appearance, your confidence will take a dip and you will be holding some part of yourself back. At Weybridge Orthodontics, this is why we do what we do. We aim to help you find the treatment that will work for you and help you to feel proud of your smile. One system we use is Incognito. These are known as lingual braces because they fit to the underside of the teeth, and can’t be seen. If you are feeling at all self-conscious about your mouth and worry that wearing braces may make that worse, Incognito in Weybridge is a great option because unless you tell someone they are there, no one will know! Our dentists use 3D imaging technology to design custom-made braces that fit snugly to your teeth, reducing the risk of discomfort and irritation. Come in for a consultation with one of our experienced dentists to find out if Incognito in Weybridge is right for you. We always put our patients first and will do everything we can to help you feel happy to smile widely again. This entry was posted in Incognito on 1st December, 2017 by Weybridge and Kingston. Here at Weybridge Orthodontics we do one thing: orthodontics in Weybridge! We are dedicated to teeth straightening. Braces may not be top of your list when thinking about boosting your self-esteem, but if you find yourself hiding your mouth because of crooked teeth, orthodontics in Weybridge could give you back the confidence to fully smile again. We use a raft of different aligners, braces and appliances to make sure we can offer you the most appropriate treatment. These are clear brackets that blend into the teeth – ideal if you want your treatment to be discreet. They are smaller than traditional braces and their dome-shaped design means they are more comfortable too. The Damon System uses tieless brackets and arch wires to move the teeth. This means that the braces move more freely than the wire and bracket design, so treatment times are shorter. This is a removable appliance that works on the upper and lower teeth at the same time. It can help to grow an underdeveloped jaw in teenagers and may be followed up with a fixed brace. It can be removed for cleaning. Brightens up traditional braces with coloured elastic bands. Great if you want your braces to stand out! Lingual braces, such as Incognito, are fixed to the back of the teeth, and so can’t be seen. A truly invisible option, these custom-made braces are popular with our adult patients. Incognito uses fixed brackets and wires to gently move the teeth. Another invisible option, Invisalign are a set of clear, plastic aligners that you change every two weeks until the teeth are at their end position. You can take them out to eat and clean and as they are made to measure, are also comfortable and don’t irritate the gums. We use different methods to offer a short course of treatment: six months to correct the front teeth only. A quick and easy way to straighter teeth. Discreet and invisible options available. Come in for an initial consultation at our surgery in Weybridge. Orthodontics straighten the teeth and broaden the smile. This entry was posted in Orthodontics on 29th November, 2017 by Weybridge and Kingston. As an adult, you may think that the chance to straighten your smile has passed you by. Perhaps you didn’t qualify for NHS treatment as a teenager or the work you did have has since shifted back into its old position. You may believe that braces are just for kids or may not want to go through the hassle and inconvenience of wearing visible ‘train tracks’ for up to two years, just to correct a few wonky teeth. At Weybridge Orthodontics, we are seeing more and more adult patients turn to braces and one reason is the invisible options for teeth straightening in Weybridge. Incognito is one system we use to provide a discreet and comfortable treatment. If you want to maintain an active social and professional life in Weybridge, Incognito is a great option. These are lingual braces, which means that they are fitted to the back of the teeth, rather than the front, as traditional braces are. Because Incognito in Weybridge are fixed to the underside of your teeth, no one can see them. Unless you choose to share it, no one will know you are wearing braces. Our dentists use 3D imaging technology to predict how your treatment will pan out. They map out how your teeth will move over the weeks, and can see when they will arrive at their desired end point. It also means that they can custom-make the braces to fit your teeth and gums snugly, providing a comfortable fit that is uniquely suited to you. Treatment times vary depending on the level of misalignment, but they are generally a little faster acting than traditional wire and bracket braces: it takes 12-24 months for full completion. Incognito in Weybridge are fixed to your teeth for the course of the treatment, so there is no need to remove them for eating or cleaning. You may even forget they are there. Come in and talk to our experienced dentists and find out if Incognito in Weybridge could be the way for you to straighten up your smile. Not just for kids! This entry was posted in Incognito on 24th November, 2017 by Weybridge and Kingston. As we head rapidly towards 2020, there really is no reason why you should live your life with misaligned teeth that make you miserable. Teeth that are crowded, gappy, leaning in or out, twisted, overlapping or not properly descended can make even the bravest of people self-conscious and reluctant to smile. You should always try to hang on to your own teeth for as long as possible, and in Weybridge, orthodontics can make a difference to your chances of doing so. At Weybridge Orthodontics, we know that wonky teeth are also more difficult to keep clean, and the build-up of plaque in nooks and crannies can lead to decay or gum disease and all sorts of expensive treatments later in life, even extractions. When you start to lose your teeth, you start to lose the ability to eat properly. Gaps mean even more loss of self-confidence. They also mean having to spend money on dentures, fixed bridges or dental implants. In Weybridge, orthodontics is the name for the branch of dentistry that focuses on realigning the teeth and ensuring that the jaws bite together properly. Realigning the jaws is best done before your child reaches their late teens, when the jawbone hardens. Before then it is still malleable and that is why you see so many young teenagers wearing braces. Although jaws need to be treated in the early teens, this is not so for misaligned teeth. Teeth can be moved within the jawbone no matter what your age is. Yes, it really is never too late to straighten teeth. All they require is sustained pressure for about 72 hours before the jawbone responds to it by removing the tissue in front of the direction of the pressure and rebuilding it behind the pressure. Traditional braces use wires strung between angled brackets fixed to the teeth to pull them into place. However, modern aligners can move them by pushing them. With traditional braces, when the pressure wears off the dentist tightens the wires. With aligners, a new one is used. To find out which more about orthodontics in Weybridge and how it can help you, why not come in for a consultation? Give us a call today! This entry was posted in Orthodontics on 17th November, 2017 by Weybridge and Kingston. Have you noticed how many different ways there are to get your teeth straightened these days? Never has there been so much choice, especially for adults. If you’re an adult who missed out on getting their teeth straightened as a teenager, you’ll be glad to know that it’s never too late to do so. Teeth can be shifted in the jawbone no matter how old you are. Lots of people didn’t qualify for NHS braces, but now they are earning want to sort out their embarrassingly wonky teeth. Lots of people also don’t want to have everyone know what they’re doing every time they open their mouths. Braces are still very much associated with being an awkward adolescent – not a great look if you are at work. The trouble is that many of the more discreet or invisible braces can only deal with minor alignment issues. More complex cases often need more. This is why at Weybridge Orthodontics we offer Incognito in Weybridge. What is Incognito all about? You won’t have seen Incognito in Weybridge as you go about your business, but chances are you’ll have talked to someone wearing them. The reason you won’t have spotted these braces is that they are fixed on the tongue-side, or backs of the teeth, rather than the lip side, or fronts of the teeth. These gold alloy braces are in other respects like traditional bracket and wire braces, capable of dealing with more complex alignment issues. Each bracket is custom-made, using digital scans and impressions, to fit each individual tooth. Getting the teeth to move into alignment is all about how the wires between the brackets pull on the teeth, so it is crucial that that brackets are fixed at the correct angles for this to happen. When you have Incognito in Weybridge, they may be a little uncomfortable at first, but you will soon get used to them. Treatment times depend on how complex your case is, and afterwards, you will need to wear a retainer, either at night, or bonded to the backs of your teeth, to hold the teeth in place while they settle into their correct positions. This entry was posted in Incognito on 15th November, 2017 by Weybridge and Kingston. We all know the importance of taking care of our teeth. If they are well looked after, with a good routine and regular check-ups so that any problems can be nipped in the bud, it’s possible to hang on to your own teeth for your whole life. 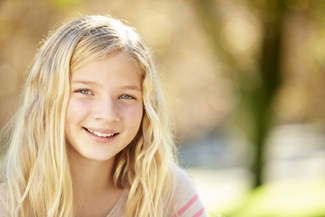 One way to give your children an even better chance of having teeth for life is to use orthodontics in Weybridge. When the teeth are well aligned, fitting neatly together and straight, it is much easier to keep them clean. But when they are crowded, gappy, overlapping, twisted, protruding, or leaning inwards, it becomes more difficult to brush away plaque, the bacterial film that gives off acids that lead to decay and gum disease. Also, when you eat with misaligned teeth, the pressure of chewing, which is immense, is not evenly distributed and this can lead to problems in the head, neck and shoulders, and the teeth that bear the brunt of chewing may well crumble away in later life. At Weybridge Orthodontics, we’ve developed a way to help your child develop straight, healthy teeth on well aligned jaws. With our orthodontics in Weybridge, you bring your child in when they are about seven years old so that we can assess them. We can then spot what is going to happen before it does. Traditional orthodontics in Weybridge starts treating children between the ages of 9–14, when they have lost most of their baby teeth. By intercepting problems, such as thumb sucking and tongue pushing, at an earlier age, we can treat them more easily. At an earlier age, the jaw is more malleable too, so if there are going to be any issues with it not being wide enough to accommodate all your child’s emerging teeth, this is a great time to deal with them. Interceptive orthodontics in Weybridge may use appliances that can be removed. When your child reaches the traditional age for orthodontics, the treatment continues, moving their adult teeth into their final positions. Because we will have already done a lot of the groundwork, the treatment can be much shorter in duration. This entry was posted in Orthodontics on 25th October, 2017 by Weybridge and Kingston.